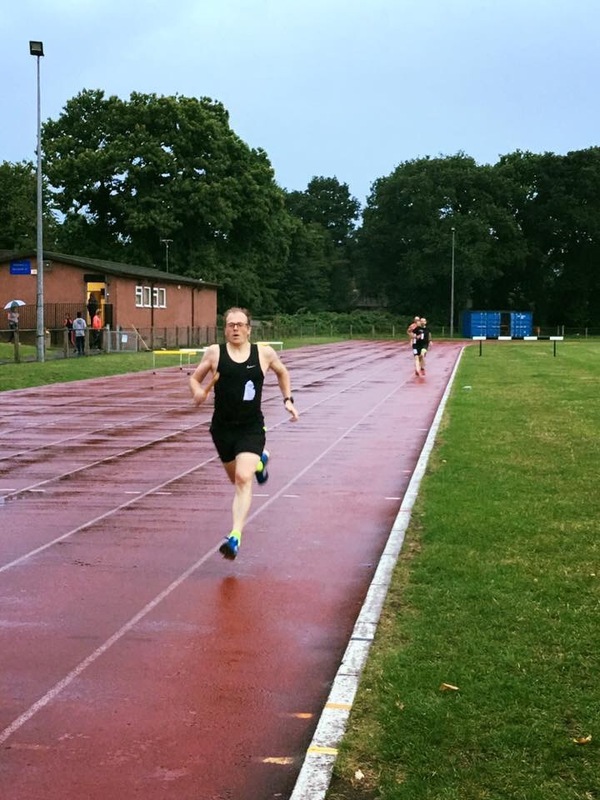 A few weeks back twenty four Sandhurst Joggers gathered at Bracknell Track for an evening of speed at The Sandhurst Joggers Track Challenge. 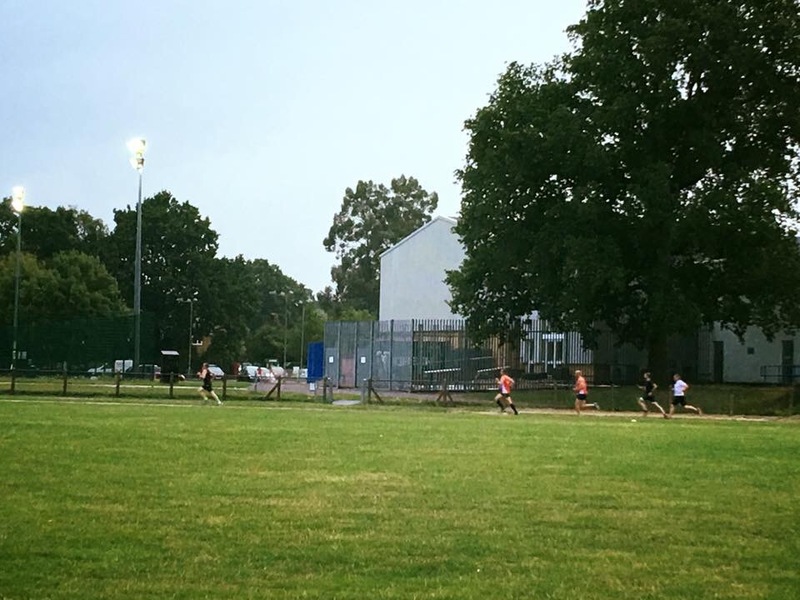 Six teams of four were created on the night with each team captain selecting members for one sprint and one middle distance event each. The teams then combined for the 4×100 and 4×400 relays. Starting with the shorter distances, the 100m saw six budding Usain Bolts line up with Stuart Mayes edging Roy Bentley on the line. The tightest finish was between Kerstin Johnson and Colin Carpenter with Kerstin’s lunge enabling her to grab 5th place. In the 200m a well measured run from Ian Watson saw him take the win ahead of Stephen Casey. Novel distance 300m saw Coach Carl cruise to easy victory ahead of tightly fought race for silver which Jodie Shimmen narrowly took ahead of Simon. Always one of the most eagerly anticipated events, the 400m lived up to expectations with a close race between Matt James and Jim Laidlaw which Matt won by a comfortable 3 seconds in the end. The highlight though was the battle for bronze which went down to wire with Sarah Hyatt besting Richard Boese and Sharon Burfield by a second. The 800m saw a comfortable victory for Royston Crandley who ran a well measured effort over the two laps of the track. 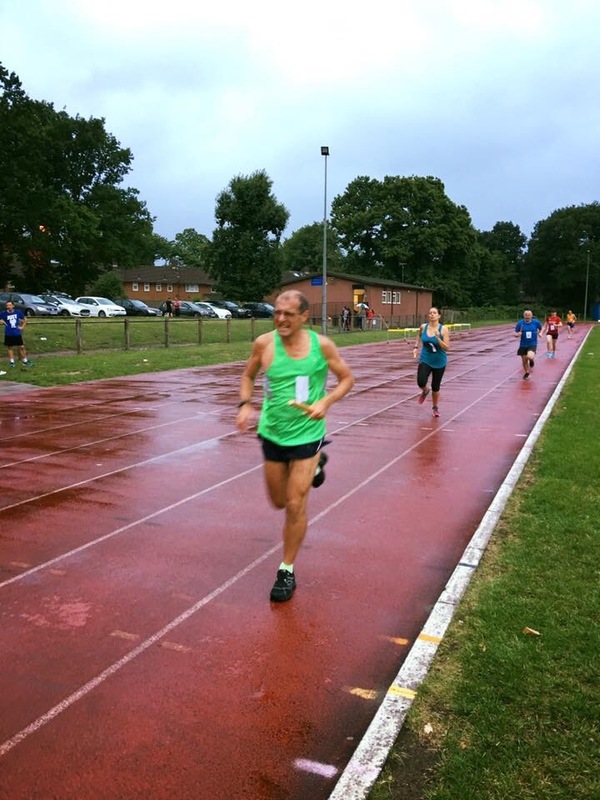 More great displays of pacing in the 1km as Ian Watson ran strongly for the win with a sub-4 minute km. Sharon Burfield narrowly missed going under 4 minutes for the silver. Another commanding victory for Matt James in the 1500m as he eased away from Stuart Mayes over the second lap. Sarah Hyatt found herself in another blanket finish as she narrowly missed out on the bronze medal to Patrick Wadsworth. The Blue Ribbon event; The Mile… the one everyone wants to win! After a rigorous selection process by each team and a well measured run Jim Laidlaw took the spoils with a composed 5 minutes and 47 seconds. Stephen Casey was safe in second and Coach Carl Bradshaw running perfectly even laps to secure third. The rain picked up its pace as runners lined up for the 4 x 100m but there were no butter fingers and all teams successfully passed the baton with Roy anchoring team 2 to victory. The closest finish of the whole night saw Stephen Casey closing on Richard Boese all the way to the line but Richard hung on by the narrowest of margins (less than half a second!) to take second place. Another exciting finish in the 4 x 400m. Team 2 took victory but close behind them a battle royale ensued as Teams 3 and 5 decided it on the line with the former just edging it. In the end the team of Stuart Mayes, Lauren Askew, Hannah Glaister and Jim Laidlaw too the overall team competition comfortably. It was far tighter for the remaining podium spots with three teams within 2 points of each other. Roy, Ian, Martin and Jackie took silver ahead of Colin, Sarah, Stephen and Jodie who had to be satisfied with bronze. Overall a fantastic evening of running. Remember track sessions run every Friday at Bracknell Leisure Centre and is free for all members. These sessions are a great way to improve your running, you’ll learn about correct techniques, get input from the coaches, improve speed and endurance, discover new stretches and practices to help avoid injuries plus have a lot of fun at the same time. Track is great for all abilities as you are never more than 200 metres away from the end of the track. Come along and give it a try at 7pm every Friday.